Slipknot affectionately call their fans “maggots”. To some, being a fan is like a religious experience. And the fans play a big role in their new documentary “Day Of The Gusano”. Slipknot’s new 90-minute documentary will be premiered in more than a thousand screens across the world for a one-night-only event on September 6. The doc is directed by Slipknot’s percussionist M. Shawn Crahan, a.k.a. Clown. 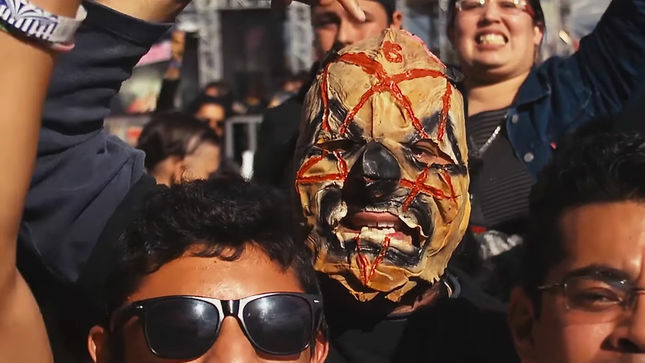 “Day Of The Gusano” documents the band’s first performance in Mexico in December 2015 and features with band members. Confirmed cities and theatres will be announced in July.